Minister Melanie Joly outlines plan to give tourism "the respect it deserves" at Routes Americas. Canada is hoping to more than double tourism revenues by 2030 as it seeks to create 180,000 jobs. 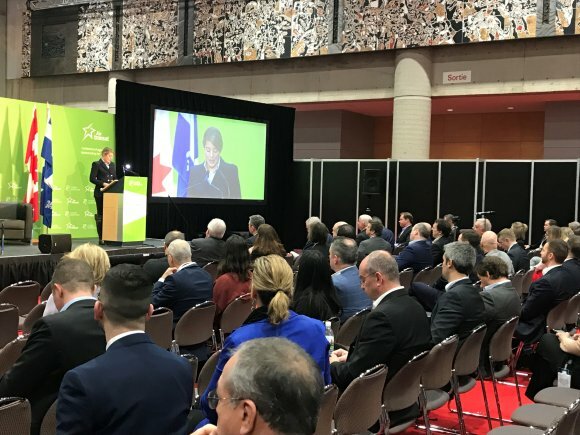 Speaking at Routes Americas 2019 in Quebec City, the Canadian government's minister of tourism, official languages and la Francophonie Melanie Joly said Canadian tourism was worth $21 billion in 2017. The country is targeting raising $46 billion via the industry in the next 13 years by promoting everything from local skills and hospitality while also targeting the LGBTQ market. Joly also spoke about the need to make travelling to the country easier and cited the example of Mexico where visa requirements were liberalised in December 2016, causing a 50 percent increase in visitor numbers from the county in 2017 and 11 percent in 2018. She added the ambitious target comes after Canada has lost ground to some of its rivals, having fallen out of the top 10 most popular countries which it last held in the early part of the previous decade. "Tourism hasn't been getting the respect it deserves as a major economic driver," Joly said. She added she is also keen to spread tourist visits to the country across the year in order to avoid the dangers of overcrowding, which certain parts of Canadian are beginning to see. 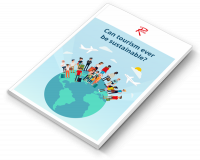 With over ten years of experience writing for the travel trade, Ed was appointed Editor of Routes News in early 2016 and has overseen its relaunch with a new look and stronger content offer for the network development community.